HAMK students as fruit-basket customers! On 13th March 2018, HAMK students had an eye-opening trip to Helsinki. HAMK students had a chance to discuss interdisciplinary issues in Global Fashion Business with brand owners and guest lecturers. Our discussion cover the strategic planning, marketing and sales, supply chain management and organization structure, etc. First of all, we had a guest lecture at Kaapelitehdas – the largest cultural hub of Finland! Since it is originally for cables production, the area is huge enough to hold 3 museums, 11 galleries, dance theaters, art schools, many artistic groups – and a group of HAMK students who were frustrated to find a place for preparation before visiting Finlayson. Raine Heikkinen, marketing and development manager at Kaapeli, gave us a captivating presentation about this artistic hub. The presentation managed to answer our biggest question – “How did a factory building turn into an artistic hub?” The answer is short, yet inspiring. Building owned by government, ran by private company. 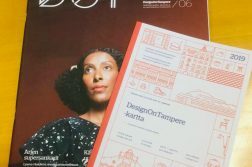 Because the building is owned by City of Helsinki, the aim of Kaapeli is not solely profit maximizing but contributing to countries’ artistic development. There are numerous examples to explain this unique arrangement. 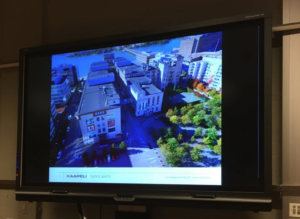 City of Helsinki gives sufficient time to Kaapeli for developing the artistic hub. And this passion reveals in the companies’ decision makings. Firstly, rather than doing mass target marketing and urge for immediate profit, Kaapeli decides to allocate the resource in better serving the customers and let the words spread. In addition, Kaapeli keep the building raw, simple and clean; thus designers and artists can use their creativity. Secondly, Kaapeli offers different prices to organizations, according to their needs, aim of activities, and scarcity of the art and a wide range of factors. The renting price for less commercial organization can be half of the original price. And Kaapeli top priority is to consider whether or not the brand or event can contribute to Finnish sustainable creative industry development. 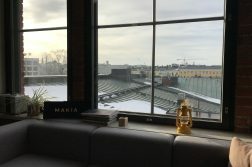 Meanwhile, designers and artists can get a chance to display their masterpiece and strengthen connection in the heart of Helsinki at an affordable price. And HAMK – a place where future designers are born, enjoy the use of meeting room by giving a bar of chocolate! Shortly after Raine’s presentation, we have a supply-chain management presentation from Per Tøffner Knudsen, a guest lecturer from VIA University College Denmark. He explained the complex logistic concept in an easily understandable manner. 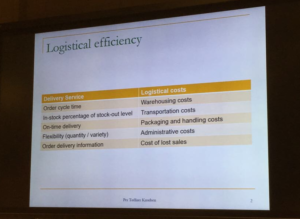 Students understand the most important underlying principle in supply-chain: it is a trade-off between higher quality of service and lower cost. 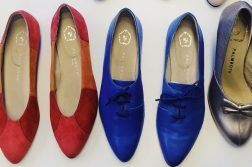 And supply chain management is critical in global fashion business because of short product cycle, particularly when fast fashion is still the current trend. Designers have to cooperate with logistic department so as to ensure that the product can be delivered by specific season. 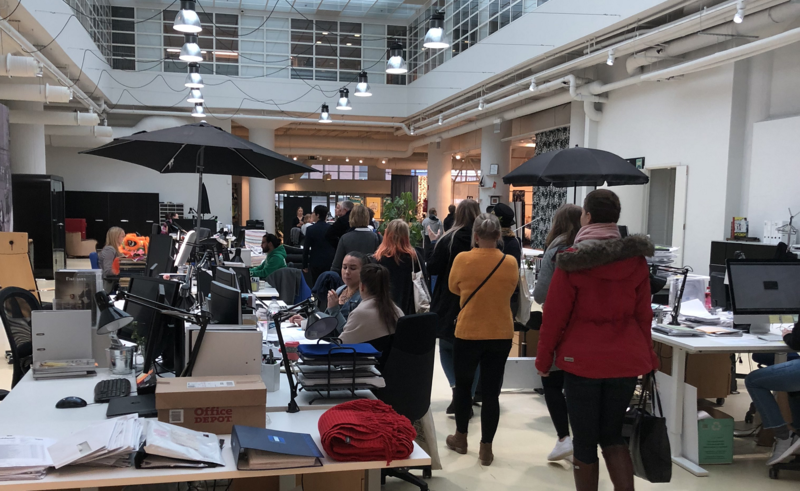 We, students from HAMK, had the honour of visiting Finlayson in Helsinki. And one of the owners, Petri Pesonen, gudie our visitings . We were given a presentation of the company, a chance to ask questions that intrigued us and a quick look of their new oncoming collection. As previously stated Finlayson was bought in 2014 by Jukka Kurttila, Petri Pesonen and Risto Voutilainen. From the very beginning they wanted to bring morality and sustainability to the forefront of the company and so set to make the chances needed. Now Finlayson has suppliers from Turkey, China and Belgium which all are audited suppliers, which they previously did not have. Pesonen points out that it does not matter where your suppliers are from as long as the production is done in humane conditions and the environment is taken to consideration. He also states there are many aspects to consider when searching for new suppliers, especially when the production chain has to be transparent. Everything must be able to be traced back to its origin, to the very fields where the materials were grown. He emphasizes that when dealing in this field you must be firm and demand for the answers you want, otherwise you are only going to be told a pretty picture that barely scratches the surface. In 2014 one of the first things they did was to make a license agreement with the Tom of Finland Organization which got them a lot of criticism; some even commented that it would be the end of the company. But they stayed firm and Pesonen expresses it has been one of their best decisions they have ever made. Along the way it also brought Finlayson back to the awareness of the consumers. Past these years Finlayson has had many successful campaigns, among other things they bought customers unused textiles for recycling and did a campaign to collect old jeans to be used in towels. 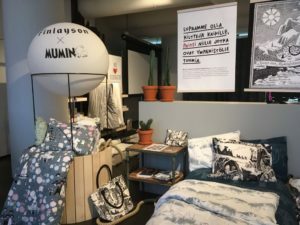 After receiving a bad patch of Tom of Finland towels they gave them away for free and they have also organized an antiracism event where they had immigrants as the main participants offering Moomin merchandise, which are one of the bestselling products. All these with many other campaigns were very well received by the population. 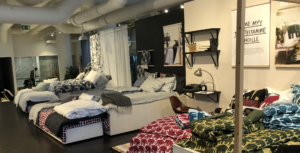 In the future Finlayson is set to take part and be even more aware of the sustainability issues in the textile industry and they have a wish to be able to sell wholly organic and fair-trade products. They are also very fascinated by the Closed Loop concept and are going to be keeping their eyes and ears wide open all the time for possible new innovations. Petri Pesonen encouraged students to do and execute our own thing without fear. To be open for new ideas, to be innovative and take risks, but pointing out not to do stupid and thoughtless ones. We would like to conclude our visiting in one quote –“A business that makes nothing but money is a poor business.”, Wilhelm von Nottbeck. There is no way better than ending our global fashison business module with this Helsinki visiting.